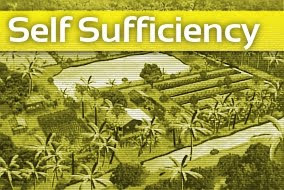 April 8, 2019 (Tony Cartalucci - NEO) - Western political meddling abroad faced another serious setback - this time in the Southeast Asian country of Thailand. In addition to Thaksin Shinawatra's Pheu Thai political party, he also maintains a violent street front known as the "red shirts," and is bolstered by US-funded nongovernmental organizations (NGOs), "student activist" groups, and extensive support throughout the Western corporate media. In the most recent election, Shinawatra divided his political forces into multiple parties in a hedging strategy meant to preserve at least one party against disbanding for serving illegally as the fugitive's proxies. US Finds "New" Proxy in "Future Forward"
While Pheu Thai and other parties are openly run by Shinawatra as proxies, the latter - Future Forward - has attempted to claim it is not a nominee party. 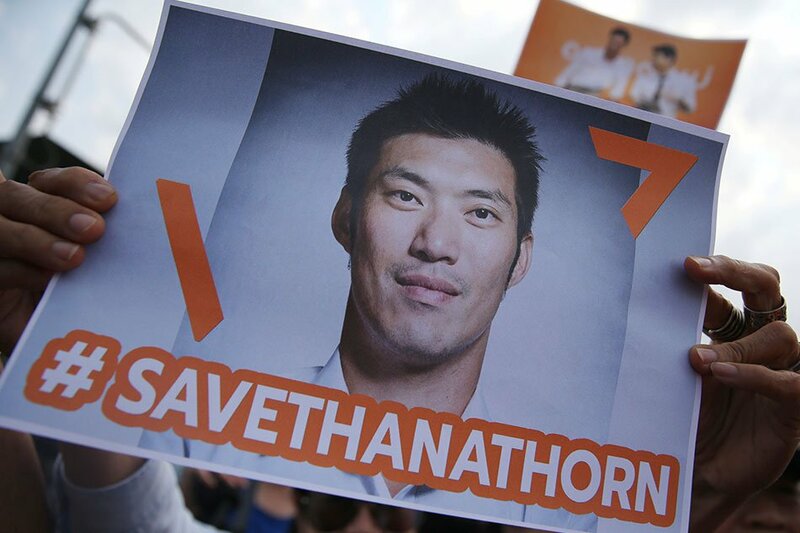 The party - headed by billionaire Thanathorn Jungrungreangkit (normally referred to as Thanathorn) - not only promotes an identical agenda of removing Thailand's military from politics - thus paving Shinawatra's return to power - it literally established its party headquarters next door to Shinawatra's Pheu Thai Party. It includes various pro-Shinawatra politicians in its party, and was promoted by Shinawatra's Thai Raska Chart (TRC) party as a nominee after TRC's disbanding ahead of elections. Media interests the family controls have served as stalwart supporters of Shinawatra and his political agenda for years. This support extends itself to promoting the same Western interests and agendas that in turn are sponsoring and benefiting from Shinawatra's bid to return to power. 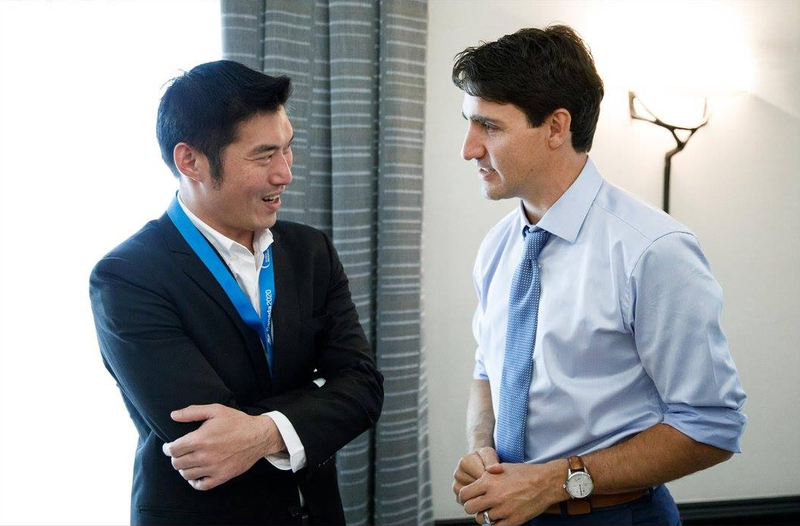 Thanathorn himself - ahead of elections - went out of his way to court foreign interests and support - including visits with Canadian Prime Minister Justin Trudeau and speaking at venues like the Concordia Summit - chaired by inveterate regime change promoters and pro-war advocates including John Negroponte and David Petraeus, as well as representatives of verified dictatorships like Prince Abdulaziz bin Talal bin Abdulaziz Al Saud of Saudi Arabia. Thanathorn has repeatedly declared his intentions to roll back joint Thai-Chinese infrastructure projects and slash the Thai military's budget, undermining its ability to fend of foreign interference - both foreign policy dreams long sought after by Washington. March 21, 2019 (Tony Cartalucci - NEO) - Western regime change efforts have intensified ahead of upcoming elections in Thailand. Opposition groups attempting to take power and remove Thailand's powerful, independent military from Thai politics have received extensive, well-documented funding and political support from Washington, London, Brussels, and Western corporate foundations, including the most notorious of all - George Soros' Open Society Foundation (OSF). One such front - Human Rights Watch (HRW) - has recently released a report condemning upcoming elections as undermining the "right to vote." While some analysts still cling to Cold War-era stereotypes regarding Thailand's role in the US-led war against Vietnam, the country has since dramatically pivoted away from Washington. Thailand's military in particular has begun replacing its aging American weapons with Chinese, Russian, and European weapons. This includes everything from small arms to Russian Mi-17 transport helicopters, European warplanes, Chinese main battle tanks and armored personnel carriers (APCs), and even Chinese-built ships and submarines. Thailand has also become a key partner in China's One Belt, One Road (OBOR) initiative. High-speed rail lines are already under construction with proposals for the construction of more lines entering final negotiations. While Thailand - by necessity - still maintains ties with the West, and Western allies like Japan - it is clear that it has balanced out these ties - with the momentum of Thai foreign policy tilting decisively in favor of Eurasia at Washington's expense. For all of these reasons and more, the US has been involved in long-term regime change efforts in Thailand, starting at least as early as 2001 with billionaire and former Carlyle Group adviser Thaksin Shinawatra's ascent into political power. By 2001 it was already clear that China's rise regionally and globally was imminent and that the process of encircling and containing Beijing had become a priority for US foreign policy. Placing proxies like Thaksin Shinawatra into power in Thailand was aimed at creating a unified front of US client states along China's peripheries. 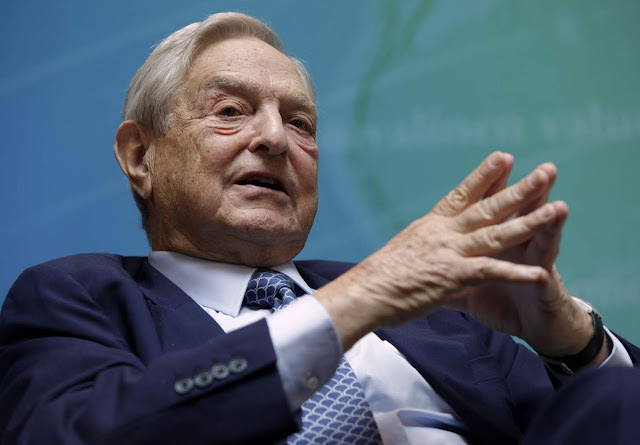 Geopolitical analyst Jean Perier's article, "After Bleeding Thailand Dry, Soros is Going in for the Kill," provides a detailed history of the 1997 Southeast Asian financial crisis and the role Soros' financial speculation played in - first precipitating it - then exploiting it. The crisis also created a vector for Western political subversion. Shinawatra's rise to power in the wake of the financial disaster was meant to rebuild Thailand according to Washington's designs. Shinawatra quickly consolidated political power, attempting to built a one-party state under his and his Western sponsors' control. He also took multiple steps toward transforming Thailand into a US client state - including committing Thai troops to the illegal US invasion of Iraq in 2003, inviting the US CIA to use Thai territory as part of its global "rendition program," the privatization of Thailand's national oil and gas conglomerate PTT, and an attempt to pass an unpopular US-Thai free trade agreement without parliamentary approval. He also indulged deeply in a myriad of human rights abuses and abuses of power, which eventually provided Thailand's institutions with a pretext to finally remove him from power through a military coup in 2006.